Remember to check out the latest episode of "Monsuno" underground this Thursday March 1st at 8:30 EST. This Thursday the “Monsuno” action continues when another episode hits the small screen. At 8:30 p.m. ET, Chase, Bren and Jinja will venture into the big city of Axistown to find any trail of Jeredy they can. While on the search, our three heroes are sent into an underground “Monsuno” fight club where they will find themselves fighting for their lives. 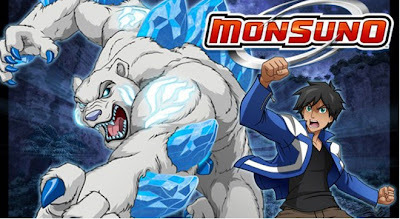 Remember that Monsuno is continuing the series this Thursday March 1st. The rise of Monsuno will spell the ultimate destruction of our planet-or launch the Courageous adventure of mankind's newest hero, the unpredictable teenager, Chase Suno. I can't wait to continue watching this with my sons.